The Lighthouse cluster supports researchers with grants that require the purchase of computing hardware. Lighthouse allows researchers to place their own hardware within the ARC-TS HPC Slurm environment. 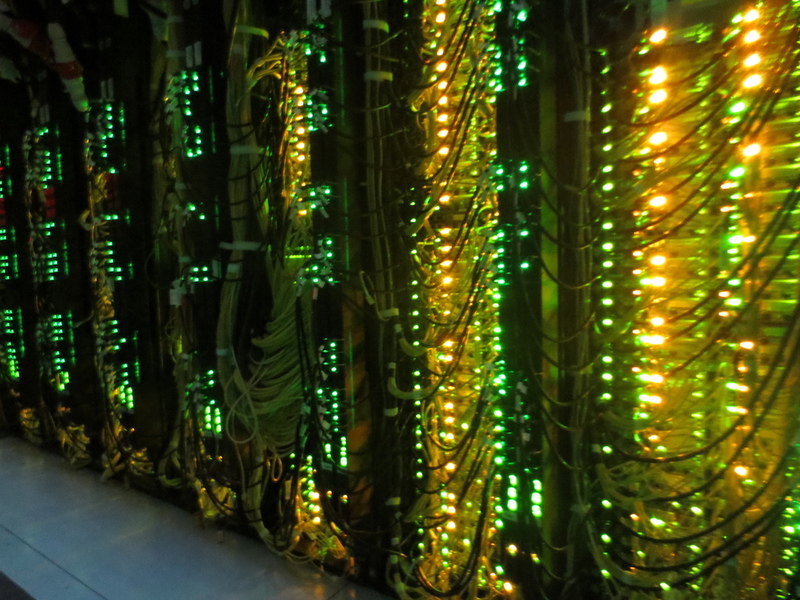 This is a dedicated HPC cluster which provides the same capability as the Flux Operating Environment (FOE) did as a part of Flux. Obtain a subscription to Lighthouse for each compute node. A subscription to Lighthouse provides access to the ARC-TS HPC infrastructure — data center, staff, networking, storage and basic software — except the compute hardware. Researchers who receive funds from external funding agencies for purchasing equipment. Researchers who have workflow and/or infrastructure needs that differ significantly from those that can be met by other ARC-TS services (i.e. Great Lakes or Armis2). The Lighthouse subscription rate and node purchase charges allow for funding from a range of sources: federally funded research projects; general funds; departmental instructional funds; faculty discretionary and research incentive accounts; cost-sharing funds; and faculty start-up or retention package funds. All Lighthouse purchase and subscription costs are charged to a U-M shortcode; no other payment method (cash, credit cards, etc.) is accepted. The costs are determined by the rate that applies to the purchasing researcher and the number and price of the compute nodes being added. Lighthouse use is billed monthly. The details of the Lighthouse charges will appear on the normal monthly Statement of Activity. Hardware purchases for Lighthouse are a one-time expense. If made from federal funds, the timing of the purchase relative to the end of the grant period must be consistent with federal regulations. Lighthouse subscription charges are a recurring expense; you can see the Lighthouse rates here. If made from federal funds, subscription charges can not be prepaid to extend beyond the end of the grant period. Slurm commands will be needed to submit jobs. The Lighthouse User Guide explains Slurm usage on the cluster. For a comparison of Slurm and Torque commands, see our Torque to Slurm migration page. No PHI or sensitive data may be stored or processed on Lighthouse. If you need access to a cluster appropriate for this data, see Armis2. For more policies and user responsibilities, see the Lighthouse User Guide. Before ordering hardware for Lighthouse, please contact hpc-support@umich.edu to ensure compatibility. Once a plan is in place, you can order a Slurm account and subscription for each node through this form. All Lighthouse users must be authorized first by their PI or a user authorized to make changes to the account. Requests can be sent to hpc-support@umich.edu. To get a Lighthouse user login, please fill out the form here. To login, please SSH to lighthouse.arc-ts.umich.edu. For technical support, please email hpc-support@umich.edu. Email hpc-support@umich.edu before including hardware in a proposal or purchasing hardware. Once a plan is in place, you will need to request a subscription to Lighthouse for each node. You also need a Lighthouse user login to access your nodes.